Concerns over the threat landfill sights pose for surface and groundwater are well documented, and also well founded. Leachate from these landfill sights is a very real problem, which is why WEC Projects is developing and testing systems to combat this particular threat – amongst others. Leachate is the term used to describe the fluid that ‘leaches’ out from landfill waste. Most of this fluid is generated by moisture within the waste or from precipitation and passes through, over and around the waste in the landfill site. As this fluid moves it picks up more and more dissolved and suspended matter, eventually running off and/or seeping into the ground as leachate. Even with the presence of municipal water treatment facilities, leachate left untreated at the source is still a threat. Landfill leachate tends to contain high levels of organic pollutants such nitrogen, sulphates and chlorides. The high levels of nitrogen, in particular, cannot be properly processed in municipal water treatment facilities. 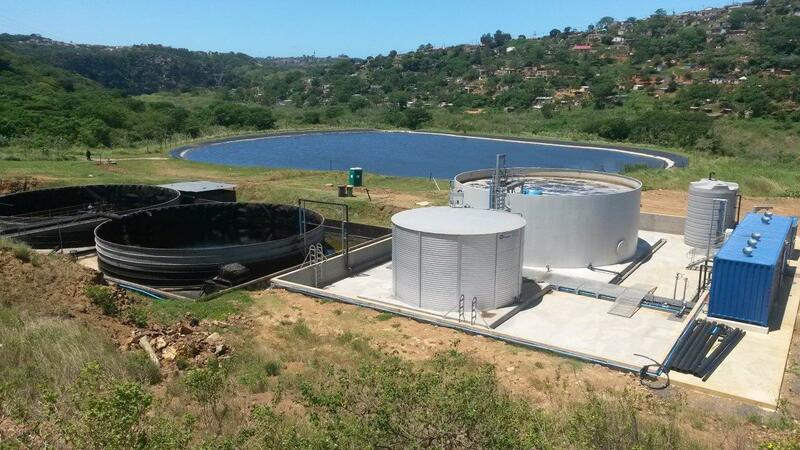 WEC Projects developed and implemented a leachate treatment plant at a landfill site in Durban to deal with proper nitrogen and carbon removal. This plant used an innovative system to employ de-nitrification as a means of adding alkalinity back into the process, avoiding the need to use potentially harmful chemicals. Once the effluent has been treated it was diluted further with natural runoff stormwater. After this dilution the effluent was then discharged into a local sewer system to be further treated at the municipal water treatment facility. Due to the fact that the high nitrogen and carbon loads were removed at the landfill site, the municipal facility was better able to properly process this water. Firstly, as already mentioned, making use of the WEC Projects leachate treatment plant at the landfill site proved helpful in removing excess organic pollutants which cannot be properly process at municipal facilities. Secondly, this leachate treatment plant’s modular design makes it easily scalable and adaptable to a wide range of other sites and industrial effluents, making it a good alternative to other aeration plants. For more information on leachate treatment plants and their benefits, contact the specialists at WEC Projects and we will tell you all you need to know.